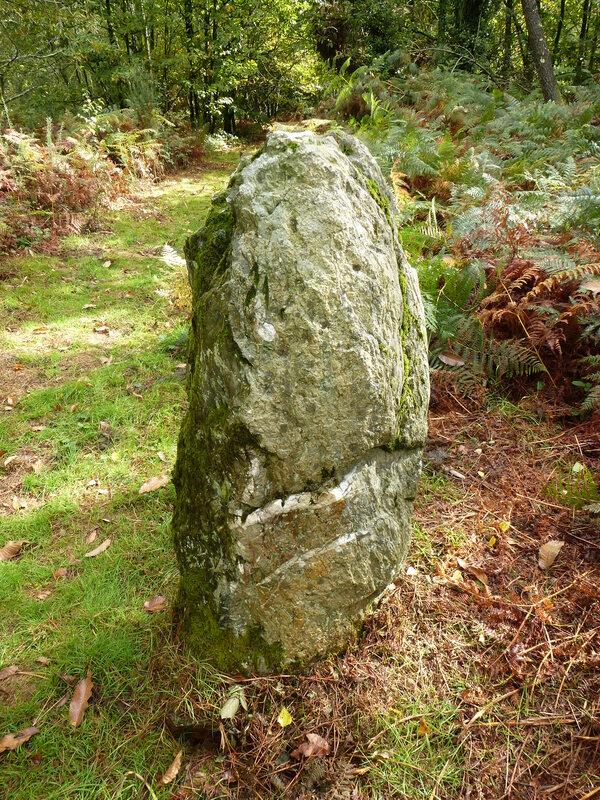 My recent visit to the Fountain of Barenton in the mythical forest of Brocéliande was just the beginning of a long day filled with magic. My second stop on this mystical adventure was another site with Arthurian associations, namely the Tomb of Merlin on the eastern edges of this ancient woodland. 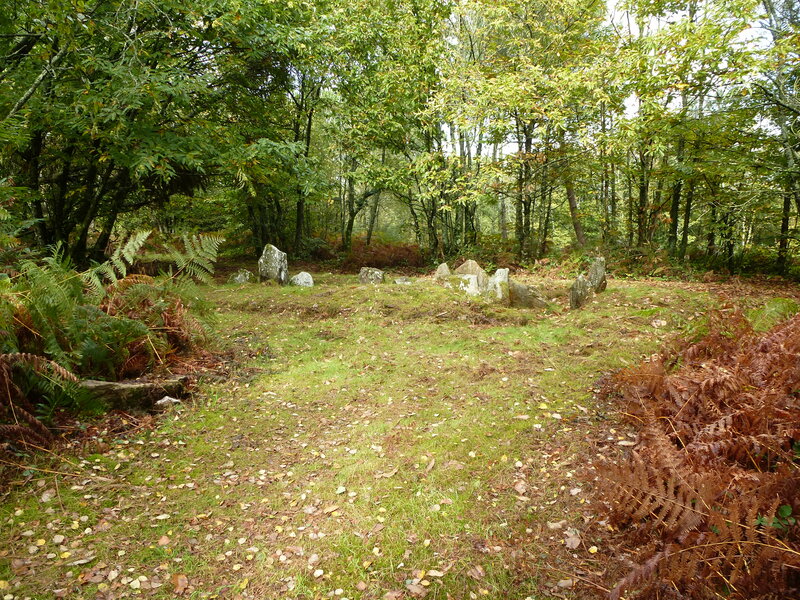 Once a huge neolithic burial mound, this spot has long been known as the grave of the legendary wizard. In fact, it was probably this myth that led to the destruction of the mound, with its late nineteenth-century owner stripping it in search of ancient treaure. Today only two large boulders survive, hemmed in by a modern wooden fence. Despite this, the place is obviously well-visited and much-loved, the stones surrounded by autumnal offerings of berries, mushrooms and fruit. 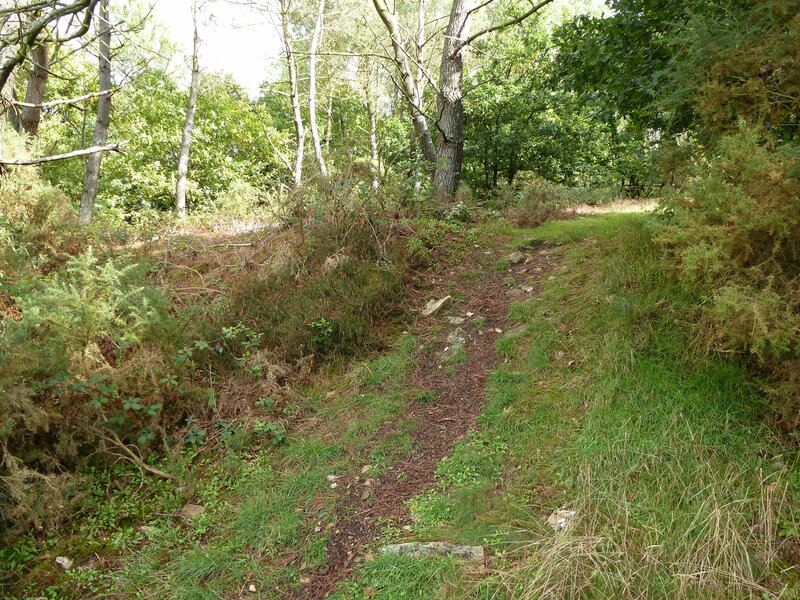 Next I headed off into the forest, along a winding path which crossed a babbling brook. As I walked deeper into the woods, I noticed small piles of stones along the side of the track. It wasn’t long before I reached the place known as the Fontain of Jouvence, or Fountain of Youth. 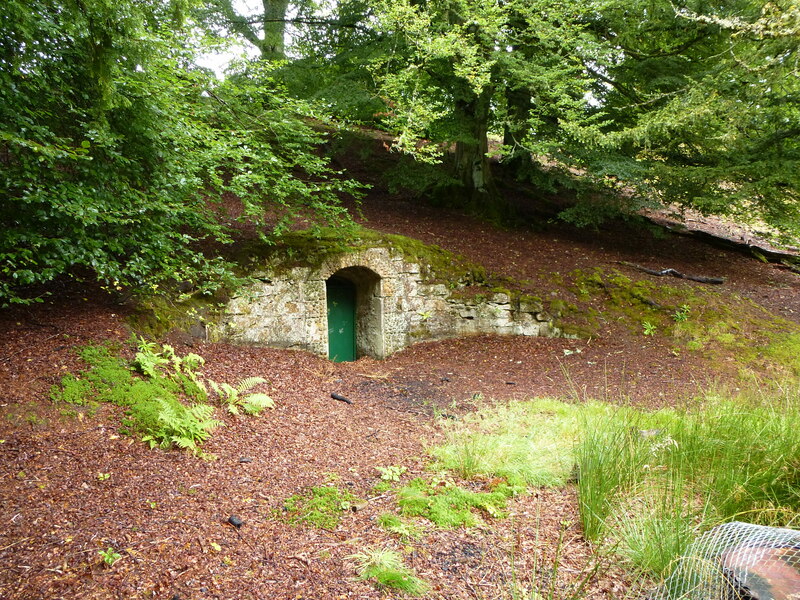 It has been suggested that the name of this spring derives from the fact that it was a Druidical site where babies were baptised. If a baby missed the ceremony then they would be baptised as a new-born twelve months later, and thus effectively become a year younger. Whatever the roots of this magical moniker, the rather murky, leaf-filled waters were distinctly unappealling, and I decided not to risk a sip. Keen to explore a bit further, I continued along the path, and noticed more of those peculiar little piles of stones. Suddenly the path opened up into a clearing, and I was greeted by an unexpected sculpture, an anthropomorphic figure created from pebbles and branches and decorated with fruits, leaves and funghi. Beyond the figure lay a quarry. But this was no ordinary quarry, because it was filled with countless little piles of stones. I am not sure who or what made these odd little sculptures, or indeed why. Some contained notes giving thanks, or making dedications. I haven’t been able to find out anything about it on the internet, or any references to it in guidebooks. It remains something of an intriguing mystery. 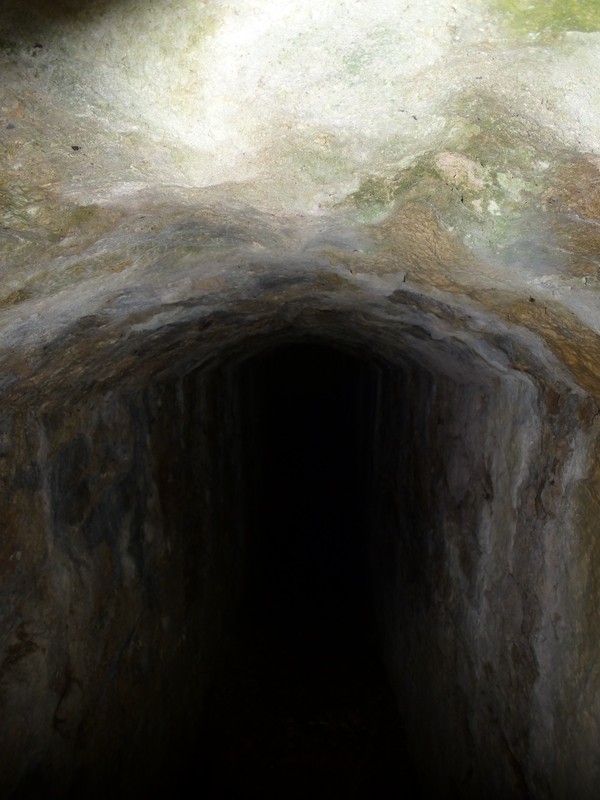 All I know is that it was a eerie, atmospheric place, and one that I won’t forget in a hurry. 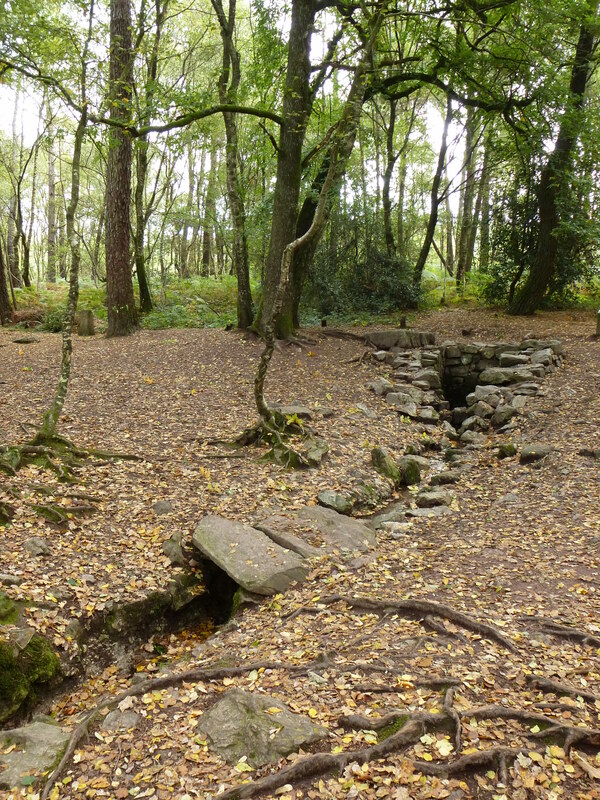 One of the undoubted highlights of my recent visit to the Forest of Brocéliande in Brittany was the Fontaine de Barenton, a mythical fountain long associated with the region’s Arthurian legends. Not only was the fountain itself rather magical, but the journey to get there, which involved following a winding path through the autumnal woodland, was pretty wonderful too. 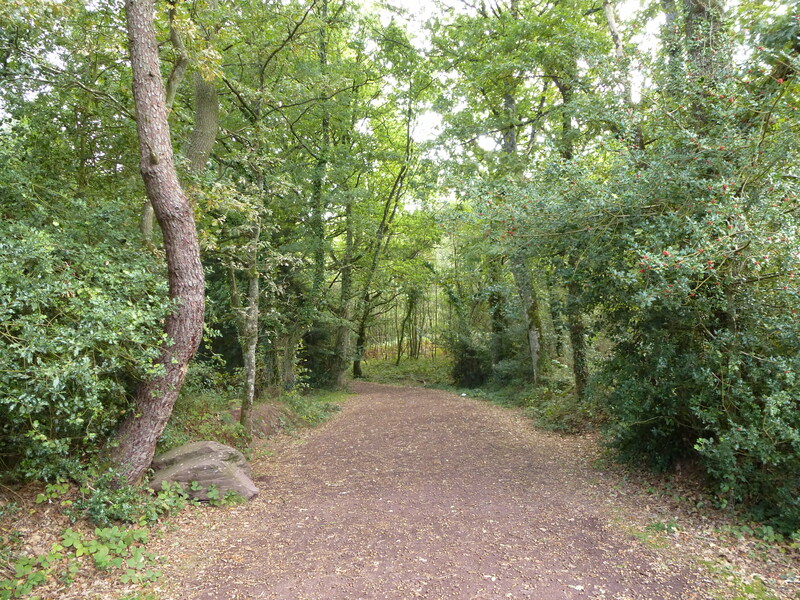 As I set out, the path was wide and flat, not particularly taxing. 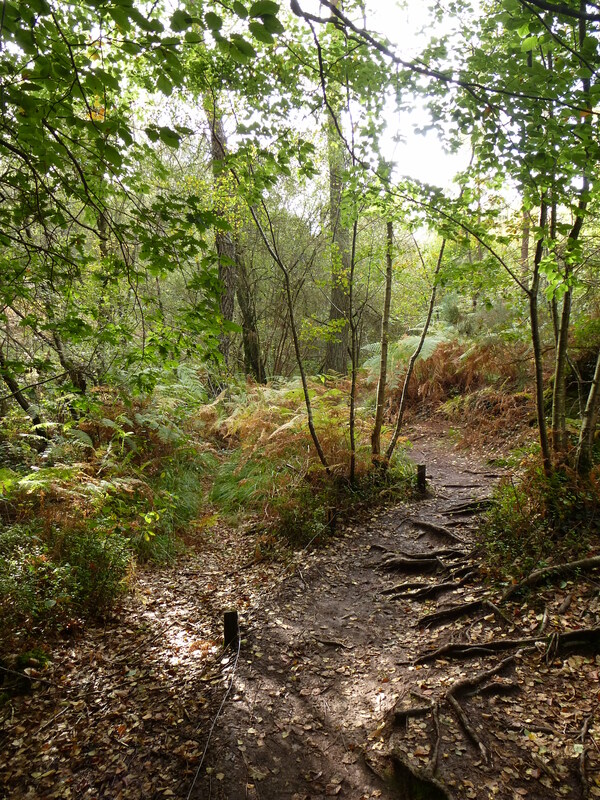 As I got further into the forest, however, it became narrow and muddy, crossing rocky outcrops and traversing knobbly tree roots. 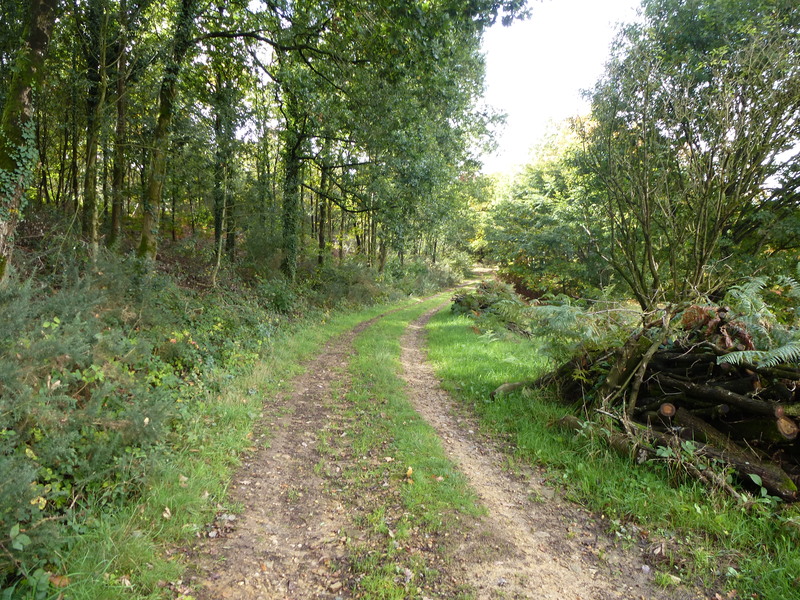 The autumn leaves were just begining to fall, and the ferns and bracken were turning a rich golden hue. 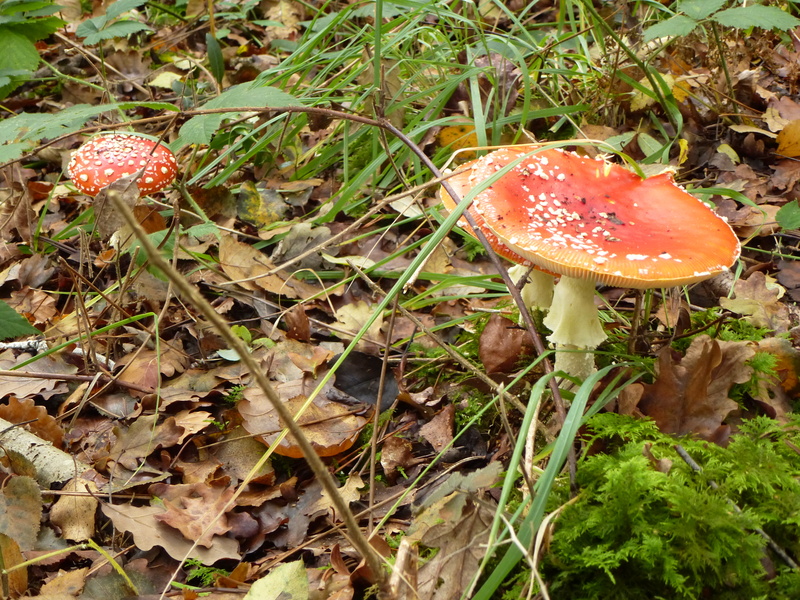 From time to time I spotted huge red mushrooms which had sprouted up from the loamy forest floor. A small stream appeared to my left, trickling its way gently through the undergrowth. Finally, after about twenty minutes or so of pleasant wandering, I arrived at the Fontaine de Barenton itself.This spot is mentioned in a number of medieval literary texts, including the twelfth-century Roman de Rou, and for many centuries it has been said to be the place where Merlin taught the magical arts to the fairy Viviane, a sorceress who is perhaps better known as the legenday Lady of the Lake. 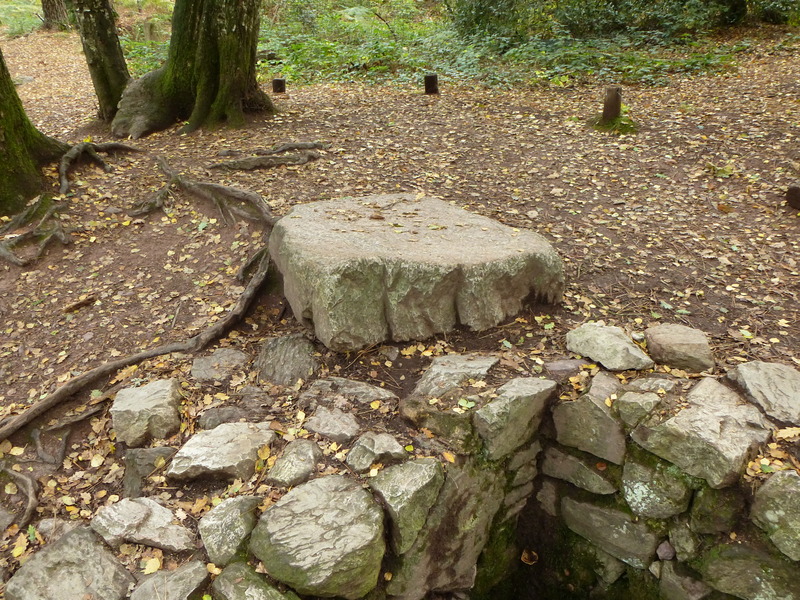 To the left of fountain’s source can be found a huge stone slab known as the “Perron de Merlin”, or “Merlin’s Step”. Legend tells that whoever sprinkes water from the spring onto this slab will not only bring about a huge thunder storm, but also rouse the Black Knight who is said to guard the magical fountain. Twelfth-century poet Chrétien de Troyes tells how Arthurian Knight Calogrenant visited the fountain, and was defeated by its fearsome protector. Later his cousin Yvain followed in his footsteps, but ended up defeating the Black Knight, and thus became the new guardian of the magical fountain. Arhur himself is said to have been intrigued by this wonderous place, although whether he ever visited it or not is unclear. In the fifteenth century, one Guy XIV, Lord of Montfort-Laval, claimed to have inherited the ability to bring about rain by dropping water on the step, although we can assume he did not invoke any pugnacious knights in the process. In more recent times, local people would dip the foot of a cross in the water in times of drought, appealing to Saint Mathurin for rain. And in case you are wondering, I didn’t attempt to awaken any storms – it was a long walk back to the car park after all, and since I was not dressed for rain, I didn’t want to tempt fate. 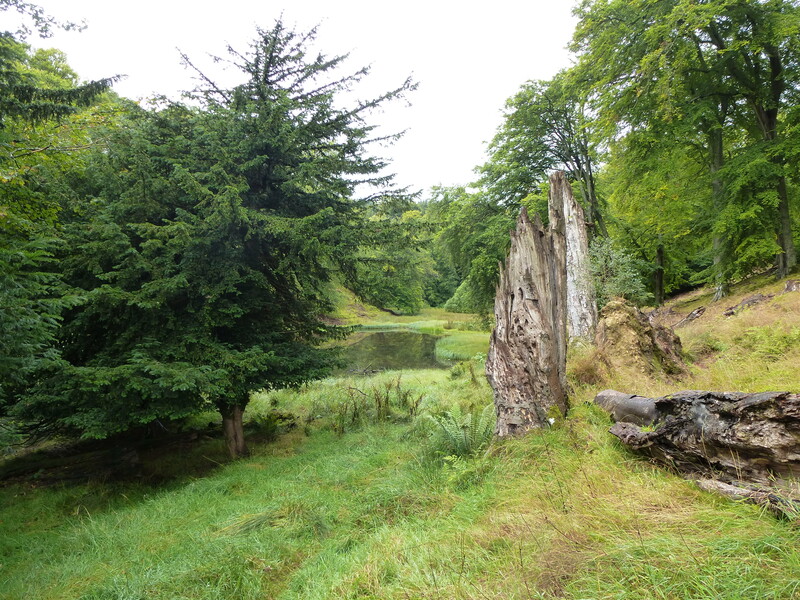 My last post featured a return visit to the lost gardens of Penicuik, a wonderfully wild park designed in the eighteenth century by Sir John Clerk of Penicuik. 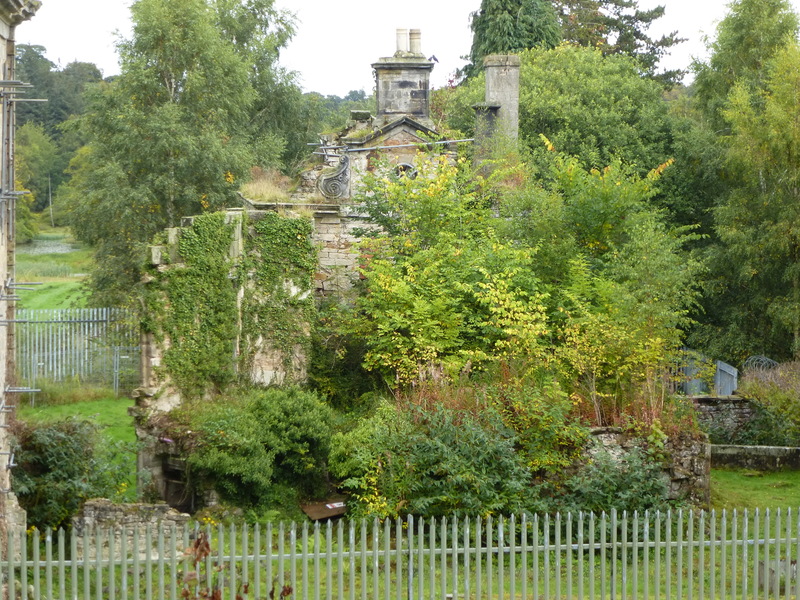 On the same day that I visited Penicuik, I also took the opporturnity to explore nearby Mavisbank, another house and garden created by Sir John which now lies in ruins. 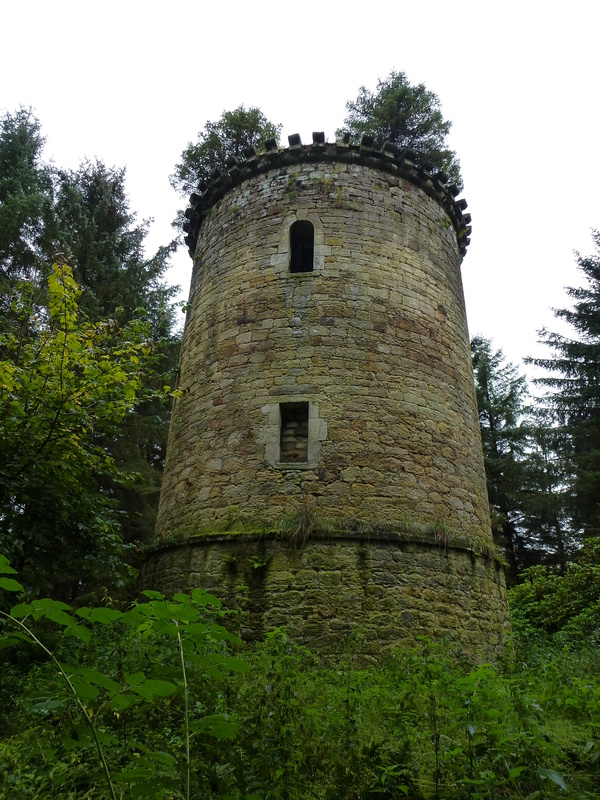 Just like Penicuik, Mavisbank is currently emerging from years of ruin and neglect, but still retains a remarkably magical atmosphere. 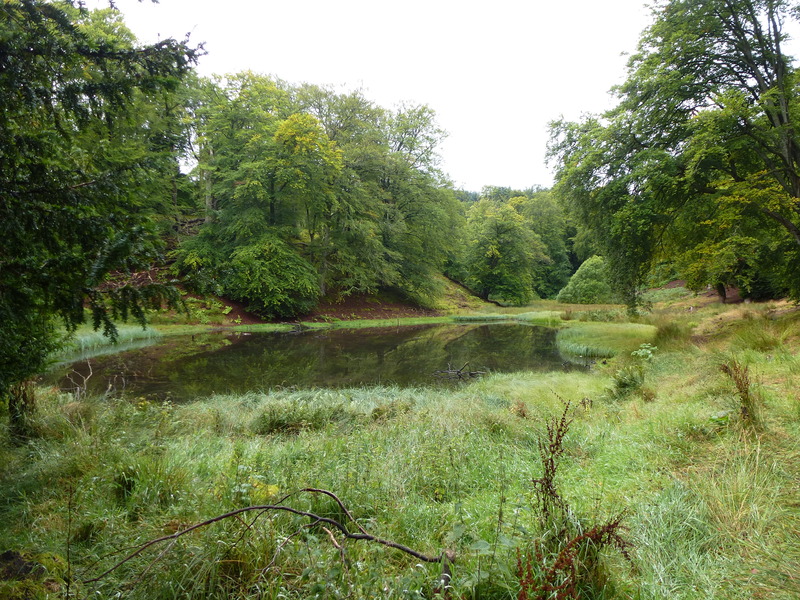 The easiest route to Mavisbank is along the river Esk, where a footpath has been created which leads from the outskirts of the village of Polton along to the house and estate. The approach to the house itself leads up an old, overgrown driveway which is rather magical itself, giving just a hint of the faded grandeur to come. Built (and largely designed) by Sir John during the 1720s, Mavisbank was once a beautiful country retreat, with one eighteenth-century visitor exclaiming that it was more like Tivoli in Italy than Scotland. Since the nineteenth century, however, the house’s fate has been less happy – sold by the Clerks in 1815, it later became an asylum. By the 1950s the land around it had become a scrap yard, and in the 1970s the house was gutted by fire. Now it is a sad and fragile, but undeniably picturesque, ruin. You don’t have to be a structural engineer to see that the ruins of Mavisbank are in a pretty bad way. Subsidence caused by mining in the area has taken its tool, which huge cracks snaking across the house’s buckling walls. In fact, parts of the building looks like they are only being held up by the network of scaffolding that pokes out from its windows and roof. On the rather damp afternoon that I visited, the place felt lonely and abandonded, empty apart from me and the flock of noisy rooks that seem to have taken up residence in Mavisbank’s shattered shell. 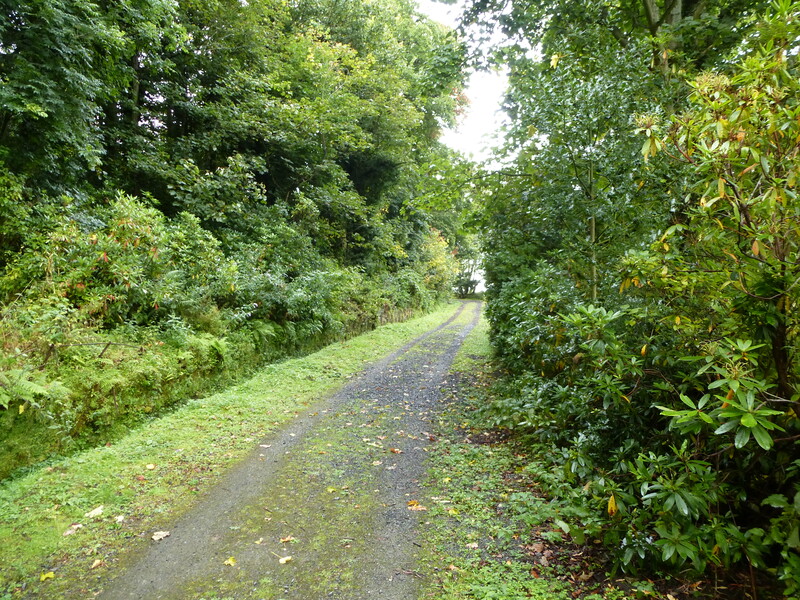 A trust has been set up to rescue Mavisbank, however, and work has already been done to clear the land around it of bushes and trees and allow more public access. High on the hill behind the house can be seen the earthworks of what enthusiastic antiquarian Sir John believed to be a Roman camp, but is more probably some sort of medieval fortification. Out in front are the swampy remains of an ornamental pond that once sat at the centre of a carefully landscaped garden, and in the distance is a pretty pigeon house. My favourite part of the house was the south side, which I suspect contained the service quarters. 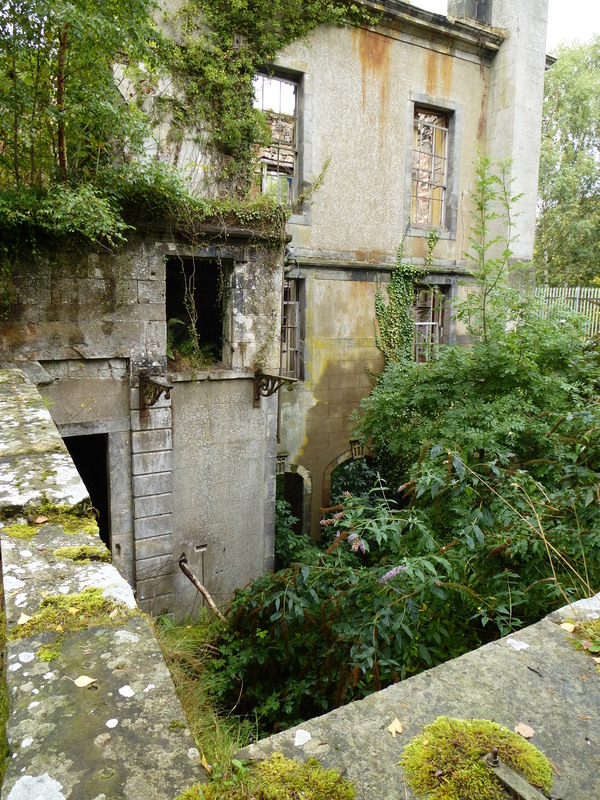 Featuing a deep basement, now filled with undergrowth but still retaining its wooden window frames, this wing was tantalisingly shadowy and eerie. At one point it looked like Mavisbank would be lost forever, its ownership contested for years as it slowly crumbled. 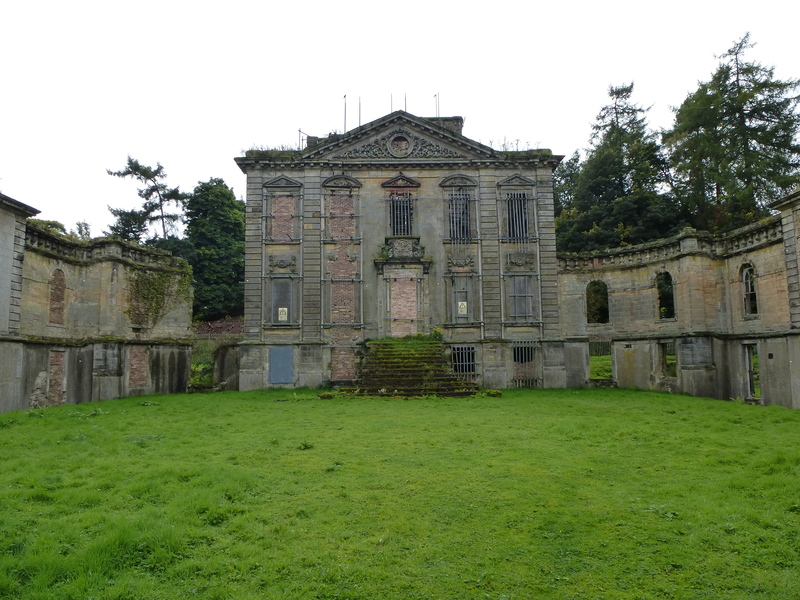 Now the Mavisbank Trust are working with Scottish Heritage and the local council to secure the future of the house and grounds, and preserve it for future generations. In the meantime, it remains a marvellously evocative ruin with a uniquely magical aura. For more details of the Mavisbank Trust and their work, click here.